We’re so lucky to have one of the best dermatologists we could imagine, and he has always encouraged us to do anything we normally would as a family even if it takes extra planning or if we need to get creative. Even though traveling can be challenging figuring out the logistics for my daughter Brenna’s skin care and working around the various weather conditions (we couldn’t believe how much the dry state of Colorado affected Brenna’s skin; we had to apply nearly twice the usual amount of Aquaphor! ), we’re grateful for the chance to show our kids some other parts of the country and give them new experiences. Since Brenna’s first vacation two years ago, she’s now been to 11 states. We haven’t flown yet, but that’s coming next year. 1. Always know where the closest children’s hospital is. A physician we saw in Chicago made this comment to us after Brenna’s gastrostomy tube (G-tube) was placed, and it was one of those obvious statements we had never considered before. We researched surrounding hospitals on Brenna’s first trip, and we actually had to stay overnight in a children’s hospital with my son Connor on last year’s vacation. 2. Alert your physicians/specialists and work out a plan for contacting them after hours if necessary. We’ve called our pediatrician from the road and texted photos of Brenna’s skin to our dermatologist while traveling. We also coordinated a prescription to be picked up at a pharmacy during a stop. Things always seem to pop up on vacation, but when you’re dealing with a serious medical condition, it’s really important to be able to contact your doctors. 3. Bring way more than you think you’ll need. If you have the luxury of traveling by road instead of plane, you can pack the trunk full of anything you think you might need. Of course, you can always purchase many things while on vacation, but if there are special products, like prescription meds you use only occasionally or favorite foods, bring it all. That also goes for any extras like a back-up G-tube or any other medical items. 4. If there are special accommodations that need to be made at a hotel, restaurant, theme park, etc., call ahead. Keep a clear record of the agreement of those accommodations and have a plan in place to carry them out if necessary. We haven’t had to do this yet, but I’m already anticipating some contact with the airline before our trip to the FIRST Family Conference in California next year. 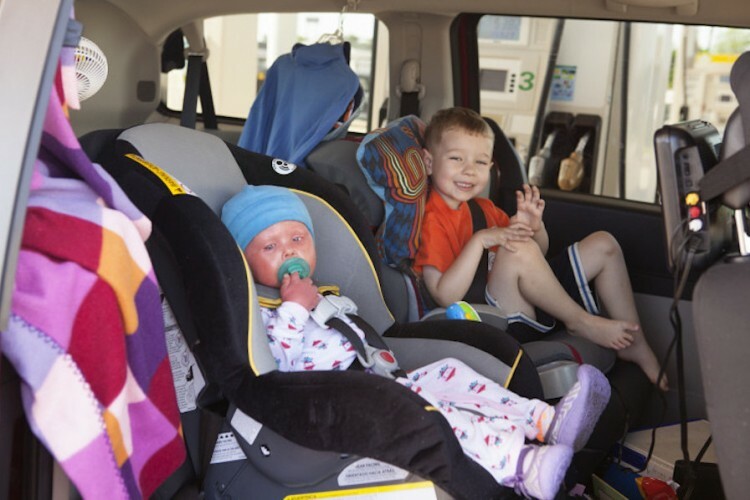 Caring for your child on the road might may not match up with what you can do at home and that’s OK. I think that “good enough” is much easier for traveling. We always look forward to a great bath after a trip, but Brenna’s skin has been fine when we let her enjoy vacation even if it’s not at its absolute best. 6. Realize that it may be tiring, but it’s so worth it. I think traveling with small kids or children with special needs gets easier the more you do it. I thought our first vacation would be miserable, but the kids rode more than five hours without stopping with very little fussing. And the whole week was much less stressful than I had imagined. Practice with smaller, more frequent trips. I’m glad we had some three- to six-hour trips under our belt before we drove across the country last year. Follow this journey on Blessed by Brenna. Courtney Westlake is the author of A Different Beautiful, which releases August 1. She lives in central Illinois and is wife to Evan and mother to Connor (6) and Brenna (4). She is a writer and photographer, and writes on her blog about her family’s lives after Brenna was born with a rare and severe genetic skin disorder.